The Mayhem is an adult women's hockey team based in Hagerstown, Maryland. 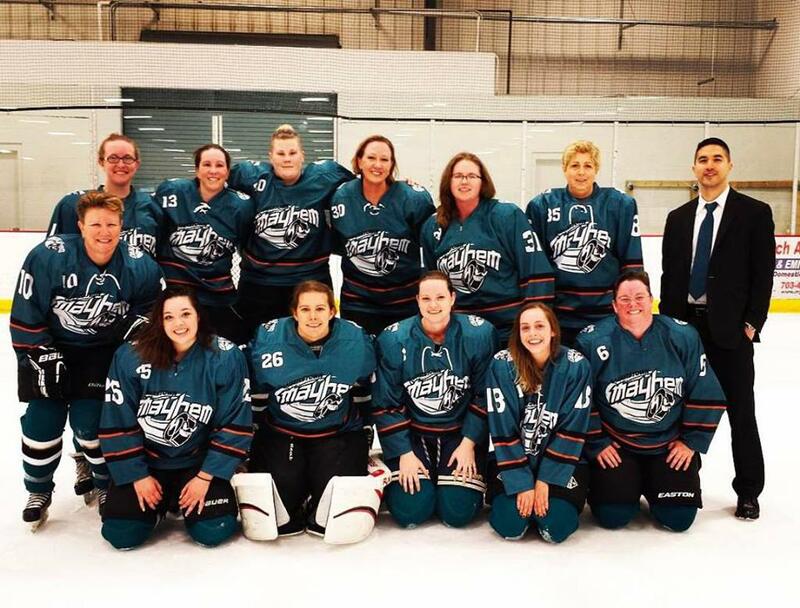 The team competes in the Mid-Atlantic Women's Hockey League (MAWHL), D division. Wanna play with us? Contact us using the information above, or check out our Facebook! Our Facebook page is linked on the right. Contact player and rink board member Katie Butler. Her phone number and email link are included below.